Last week Martin Bell – former BBC war reporter & MP – sat at the table next to me in the Caffe Nero at Waverley Station (that’s in Edinburgh, for the less well travelled). 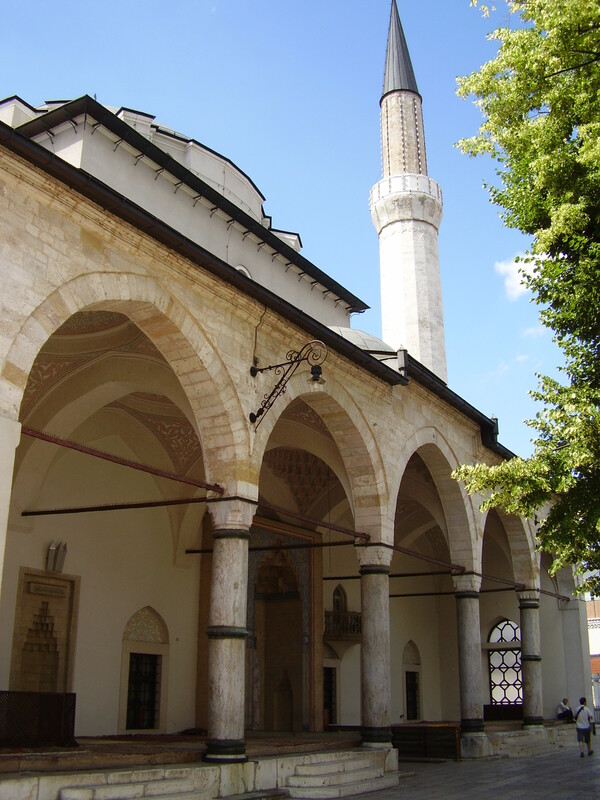 He started me thinking about Sarajevo. He got himself wounded by shrapnel on camera there, during the war. 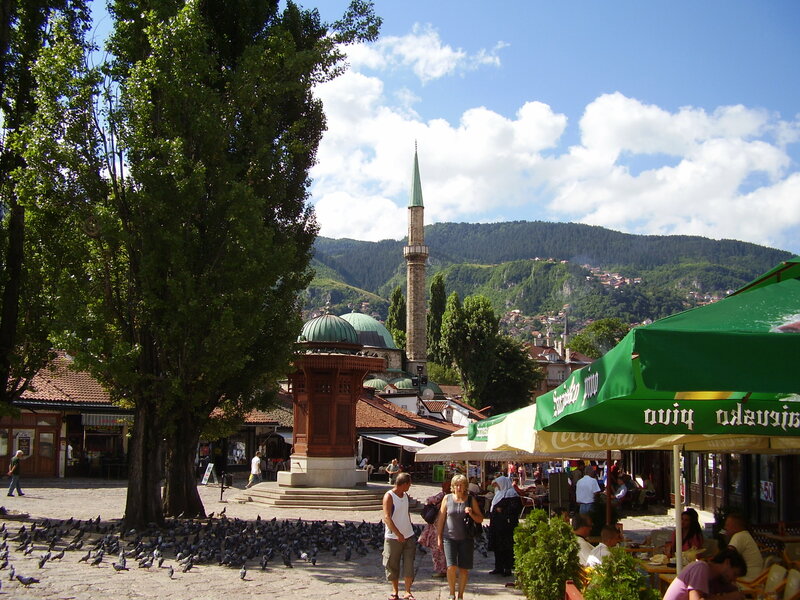 Sarajevo is a very special place. I don’t use the “very” word often, or lightly. I remember Sarajevo from my modern history at high school, and international politics at university. The event which triggered World War I took place there. A Serb nationalist by the name of Princip shot dead Archduke Franz Josef of Austria in Sarajevo in 1914. Austria declared war on Serbia. Russia was “3rd man in” to support Serbia, and it all got pretty messy after that. I also remember Sarajevo as host city for the 1984 Winter Olympics. Probably memorable for me only because – being 100% ignorant at that time about winter Olympic sports, apart from curling – I was surprised they had Olympic standard Alpine skiing in that part of Europe. Then there’s the war. To call that messy would be understating. 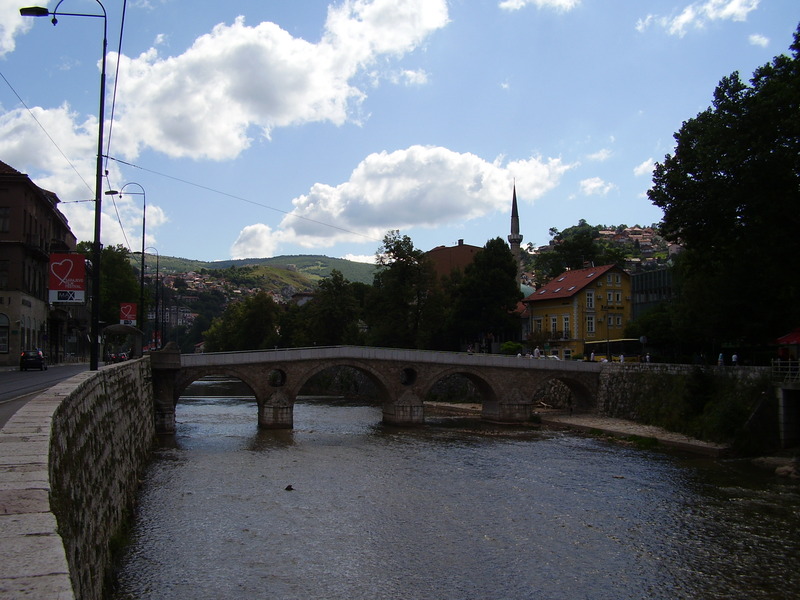 In July 2009 I jumped on a wee Croatian Airlines turboprop at Zagreb Airport, and went to have a look at Sarajevo for myself. I fell in love. I loved the flightpath on approach to the airport – flying between the mountains. I loved the dinky little airport – totally rebuilt recently. I loved Mumo – the guest house owner who met me at the airport and saved me from the predations of the local taxi drivers. I loved the drive into the old part of the city through “sniper alley” – still bullet holes everywhere on the buildings. I loved the Bosnian style of driving – sandwich in one hand, mobile phone in the other and traveling at twice the speed limit. 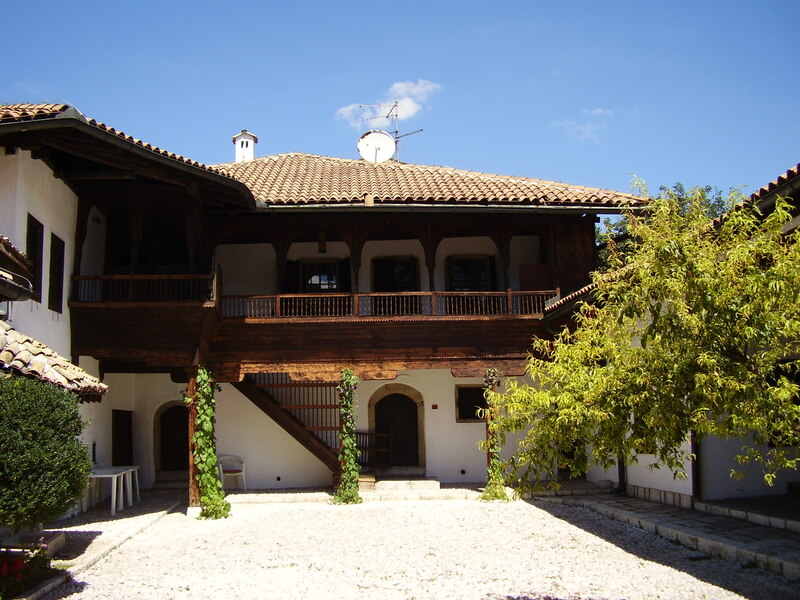 I loved the Ottoman part of town – Baščaršija. I loved the ćevapi – a local version of a kebab. I loved the cafe culture. Then there’s the legacy of the war. Not much physical damage left in the downtown area – bullet holes in buildings here and there, shrapnel scars on the pavements. The social damage is not obvious to a visitor. You can’t “love” that, but I can accept it as part of what makes it such a lovable place now. So, if you get the chance, just go see. Make the chance if it doesn’t come along. And if you need convincing, read The Cellist of Sarajevo by Steven Galloway. This entry was posted in Sarajevo, special places. Bookmark the permalink.